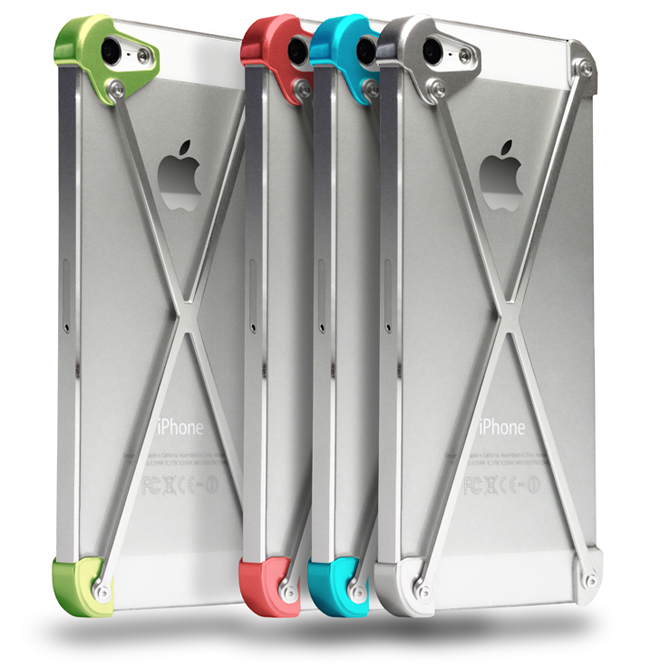 Talk about a unique concept for an aluminum iPhone 5 case. 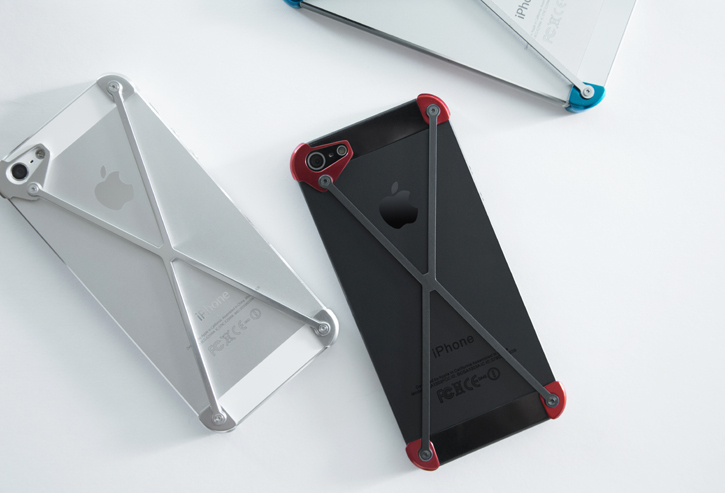 Mod-3's minimalist Radius case for the iPhone 5 is the G-string of all aluminum cases. The concept behind the Radius is that it's designed to cover up less of the iPhone 5's design, while protecting every critical contact point. The Radius's unique and lightweight aluminum exoskeleton design covers very little in order to prevent any potential signal loss caused by the metal material, whilst maintaining the original design of the iPhone 5's brilliant thin construction. Each corner is lined with anti-scratch lining that'll provide vibration absorption. As much as we like the ultra-thin design, we fear the Radius will pose an uncomfortable grip with all of its industrial exposed metal screws around the back. If you're interested in the Radius case, it's now available to be pre-ordered on the crowdfunding site Kickstarter for $59 in polished silver, cyan and red anodized colors. Kickstarter backers of Mod-3's Radius case will have the choice of choosing between a polished silver aluminum X frame or a matte black (slate) finished aluminum X frame.